There is more than one way to make sure that your oral health is in top notch form. Brushing and using antiseptic mouthwash are helpful, but not enough. If you want to completely remove plaque and destructive bacteria, you have to floss! 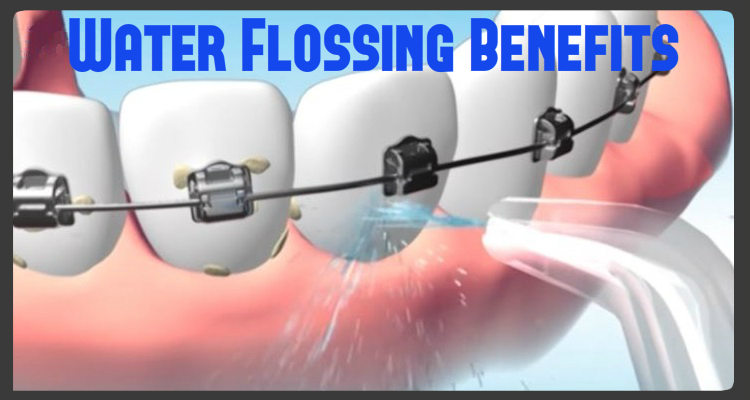 Water flossing is a process that uses an oral irrigator device to aim a stream of water at your teeth. Such gadgets are often referred to as water flossers, water jets or waterpiks. Interestingly enough, Watetrpik is the first company to manufacture and patent such a device. As a result, a lot of people are used to referring to the flossing device by the company’s name. The idea behind using an oral irrigator is to further help remove food particles. It does so in a less intrusive way, compared to strings for example. Water stream could be hard, but never as sharp as the cord. So, there is no chance of cutting your gum or making it bleed. As a matter of fact, this type of flossing could be quite relaxing and therapeutic for the gums. Regular dental floss could be challenging to use. The string is usually somewhat slippery. Wrapping it up around your index fingers is the only way to go. But, even then, you need to wrap it a few times just to make sure that it does not slip out at first contact with your teeth. In addition, you should not use the same string for different teeth. If you do, you will simply transfer bacteria from one place in your mouth to another. Remember, floss strings do not kill bacteria, the simply remove it from between the teeth. Navigating and coordinating the cord within your mouth is also not an easy task. Flexing the string beneath the gumline and moving it up and down can be quite dubious. Not to mention, all of this maneuvering needs to be done very carefully, so you do not cut yourself. Water flossing is far less intrusive and easy to use. Different devices come with different power settings and flossing tips. For example, some tips are better for crowded teeth, others are better for braces. Regulating the power settings allows for a more relaxed flossing. As a matter of fact, some water irrigators come with gum massage settings. Using water flossers can be up to 51% more effective in reducing gingivitis, compared to other methods. Gingival bleeding can be reduced up to 2X when using a water jet device. 29 percent more effective in destroying bacteria and plaque. 5X more effective than brushing for cleaning around braces. Up to 3X more effective than string floss for cleaning around braces. Last time I used a hard string floss regularly was some 2 years ago. The majority of patients also choose to use a water flossing device.